This is the 1959 Singer sewing machine that I first learned to sew on. It is still being used quite often by my mother who has kept it in a sunny corner of their bedroom. This is me at age 15 sewing on that machine which we kept at the front window of the kitchen at that time. I don't know when I actually started sewing. Having a mother who always ran a sewing business at home, and having 3 older sisters, I just grew up with it. I can remember sewing doll clothes by hand. When I wanted to begin on the machine, my mom thought I was too young, so I used the machine and cranked the wheel by hand. It was much faster and neater than sewing by hand. I remember the first project that I actually sewed on the machine with the power on. My mother had cut out two shirts for my younger brother. She showed my how to sew them. This is my brother and I and my brother wearing a shirt just like the ones I made. So, my first sewing machine projects were shirts with collars and sleeves, not to mention pockets and buttons! I soon afterwards made myself a dress that I proudly wore to elementary school. I was soon included in the family business. I remember in junior high being the only one I knew of that made my own money working. I loved it. By high school my sisters and I would sew all summer making bridesmaid's dresses. We had a system. One of my sisters would cut out, one would iron and do handsewing. I got to sew! This was my favorite part. We also made all our own clothes. Over the years I have continued to sew. I made some clothes for my girls, most recently the Vintage Vogue 8729. I have taught my oldest daughter to sew and she made several pieces of clothing. I taught my son and he made a zipper bag to keep his art notebook and pencils handy. I taught my youngest daughter to sew in the form of a Summer Sewing Camp. That was 7 years ago when she was 9 years old. Over the past 7 years I have been holding Summer Sewing Camps. My daughter started helping me and began her own sewing business as well. I believe that sewing has become a lost art. In teaching the sewing classes I have begun to realize that sewing has lost a generation or two. Many of our students have a grandmother who sews but not a mother who sews. Some students do not even have a grandmother who knows how to sew. It seems that the ones who do know how to sew today, sew only quilts or crafts. I like to teaching garment making. This makes it difficult with less and less fabric stores around. Within 20 miles of my home, there is only a quilt shop. This means they carry fabric (cotton only) and no patterns. There are limited zippers (for bags only) and limited buttons in cute jars. I end up ordering patterns and supplies online. With my passion for sewing comes this new series to teach your children to sew in the form of a Summer Sewing Camp. Click on this photo button to see the entire series. I introduced the idea of teaching your children to sew in the form of a Summer Sewing Camp HERE. I explained the Who, Where and When in Planning your Summer Sewing Camp HERE. 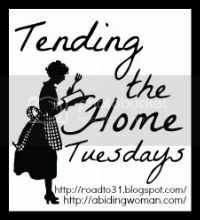 As you can guess, this week I am discussing the Sewing Machine. How do you pick your first sewing machine? Everyone in your Summer Sewing Camp will need a sewing machine. Although your children can share a machine at home, I strongly suggest that each person in the Summer Sewing Camp have their own machine to use. I have had many students over the years. The best machines are the old Singers. Some of the newer machines work well too but can be quite expensive. One feature that I definitely recommend for children learning to sew is speed control. My Bernina has a speed control feature (shown with my daughter in the button above.) The Berninas are expensive. You can tell just by lifting it that it is all metal. I have had students show up with brand new sewing machines still packed in the box that mom has purchased at Costco, Sears or Home Depot. The problem with these is that they are cheaply made and they tend to go way too fast when the foot pedal is pressed. This can be dangerous for little fingers and it is not easy for anyone to sew when you feel you don't have control. The bobbins on these can also be loose, leading to dropped stitches or bunches of thread knotted up. The speed control option found on machines usually means the a different bracket of machine with different features. Borrow. This Singer sewing machine belongs to my mother-in-law and she has let all of the grandchildren use it. If you do not have a sewing machine, DO NOT buy one. Ask around to see if someone has one that you can borrow. I recently found out that my neighbor used to sew and has a machine in her closet. There are many machines in closets or storage out there that are dying to have someone use them. Start telling people that your children are going to be learning to sew. Those that sew will be so excited for them that not only will they loan you their machine, they also have a stash of fabric to give you! If the machine has not been used in a while or you are not familiar with it, see the Craftsy Sewing Machine 911 below for a free video on the machine. Buy Used. If you cannot find one to borrow, buy one used. Look online, or search yard sales. This is a Kenmore Mini Ultra. Similar ones are on sale on Ebay. Some sewing machine repair shops have some to rent or buy used. Even some fabric stores have used ones. Our local quilt shop carries the Singer Featherweights which can be expensive. Read reviews online before you buy. Just be sure that the machine comes with the power cords and foot pedal. The instruction book, bobbins, and presser feet are great too. Buy New. If you can't find one to borrow or buy used, there are three sewing machines that I would recommend to buy new. I would recommend the Janome Sew Mini Sewing Machine found HERE. It is very inexpensive and simple to use. The Janome Sew Mini Sewing Machine is a simple machine that does not go too fast and is perfect for the beginner. The teen boy above was delighted to learn on this machine when we made Little Dresses for Africa. It has very limited features (like no light) and cannot sew through very thick fabrics but will serve the purpose of a beginner learning to sew. Another recommendation to purchase is the Singer Stylist found HERE. This machine has more features than you will ever need but it does have a speed control and is fairly reasonably priced. I know this is not the same as the Singer I grew up on but it has gotten great reviews. Another recommendation is this Brother CS60000i found HERE. My daughter has a Brother sewing machine that she just loves. The younger children seem to be more comfortable with these computerized machines. This price cannot be beat for what you get. Among the many, many features, it does have the speed control also. This machine probably is the best value. If you are having trouble with the links, view this post on a website instead of the Reader or email. Summer Sewing Camp series: In the upcoming weeks I will go over supplies needed, a materials list and the actual projects with tutorials. I will follow up with other suggestions for following weeks of camp and charity projects. I will also include the best ways to teach children. In a Reader, Pinterest, Facebook, or by email in the sidebar. My heart jumped to my throat and tears came to my eyes when I saw your first sewing machine. That was my mom’s machine too….the one I learned on! After 20+ years, the center dial wouldn’t move, so it only did straight and zig-zag. When I got my OWN machine, I told my husband, it needed to be able to do straight and zig-zag and that’s ALL! Now, 40+ years later, I’m still using it (a Singer, of course). 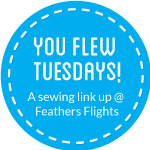 Your post echos my feelings of sewing, and that’s why I’ve started giving lessons. My first student just finished an apron for her mom for Mother’s Day, and she had never touched a machine before! Bless you for this series, I’m really enjoying it! Dona, it was sentimental for me also to go down memory lane. There is also something special that binds us who sew. May we keep the art of sewing alive and well! a wonderful post, brings back such nice memories! I’ve gotten away from sewing but just dug out my machine & had it serviced…I missed it! My heart melted when I saw the picture of your first sewing machine. It reminds me of the one my mum had when we were still living in a house – it was a Singer with a black squeeky peddle below it. Can remember when she would “cycle” it with her two legs. I was really sad when we couldn’t bring it with us when we shifted to a small apartment. What a fantastic post, you have made me really excited to teach my kids to sew. I plan to teach my son the basics this summer, he is 7 and really keen! I am in love with my grandmothers old pfaff from 1961! It blesses me to see kids siting at a sewing machine! What a wonderful thing, thanks for linking with me, see you tomorrow? This is a great introduction to sewing machines. I love that you learned the family business so young and were making your own money early. My first sewing machine looked a lot like yours, bought around 1962. My father objected, saying I could just use my Mom’s sewing machine, but my Mom, looking ahead to my high school graduation in 1965, said, “She’s not going to be living here much longer. She needs her own sewing machine.” I’m forever grateful. Hi, Ana! I am the grandfather of FIVE young granddaughters (the oldest is almost 6 y.o., the youngest is 2-1/2) of our three grown kids. After wrestling with how to “connect” with them and, coincidentally, after buying a poorly made pair of hunting pants that I thought I could make better, three years ago I taught myself to sew. I want to teach them to sew, so I really appreciate your Sewing Camp series. In a couple of years, wish me luck. Meanwhile, I am trying to improve my skills by sewing little girl clothing, doll clothes, and hunting gear. p.s. : I just found and restored my deceased Mom’s Singer 401A sewing machine, just like your mom’s machine. My Mom was an excellent sewer, but never taught my four brothers and me to sew (no sisters). Boys did not sew back then – too bad. Thanks for the info on your Pinterest page and the hand sewing starter. I have six handcrank vintage Singers I planned for them to use as starter machines. I enjoy refurbishing vintage Singers and Kenmores and have some 50+ machines in the “herd” in my newly-built sewing room.